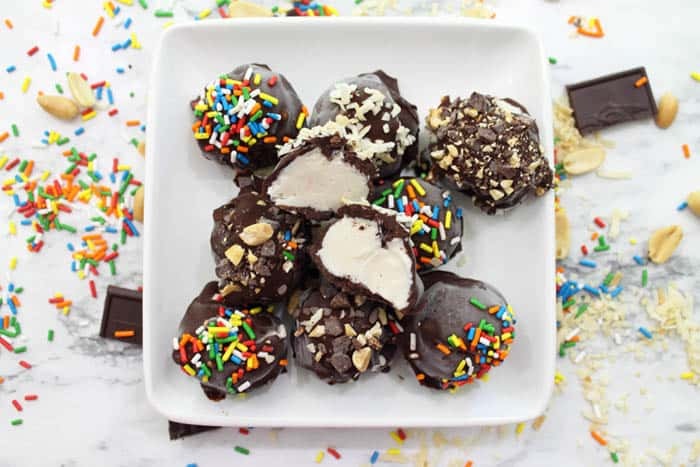 Easy ice cream truffles are the perfect cool treat for a hot summer day. 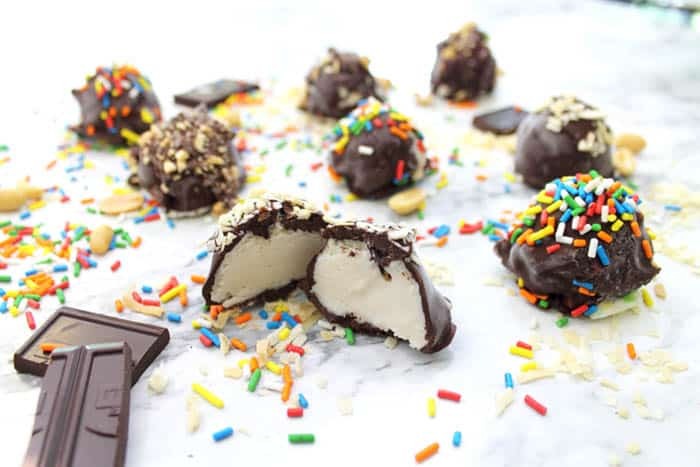 Just a mini scoop of ice cream, a dunk in dark chocolate, and loads and loads of your favorite toppings. Anyone that knows me, knows that I love ice cream! 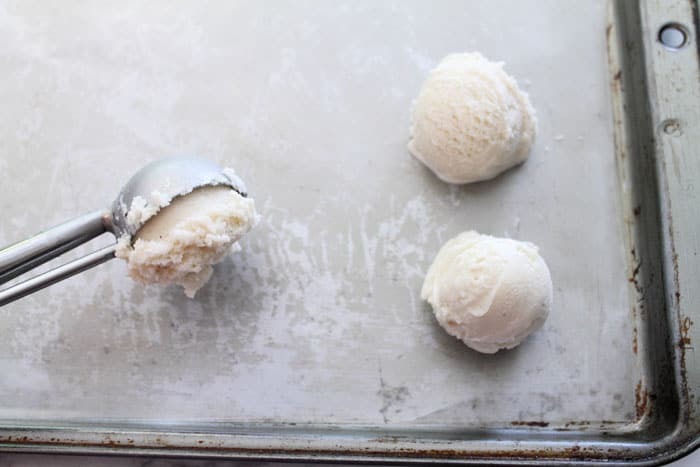 Give me multi-scoops of coffee ice cream (absolutely my favorite), chocolate ice cream or ice cream sandwiches and I’m down with it. But these little babies are the perfect sweet treat that I never feel guilty about having. 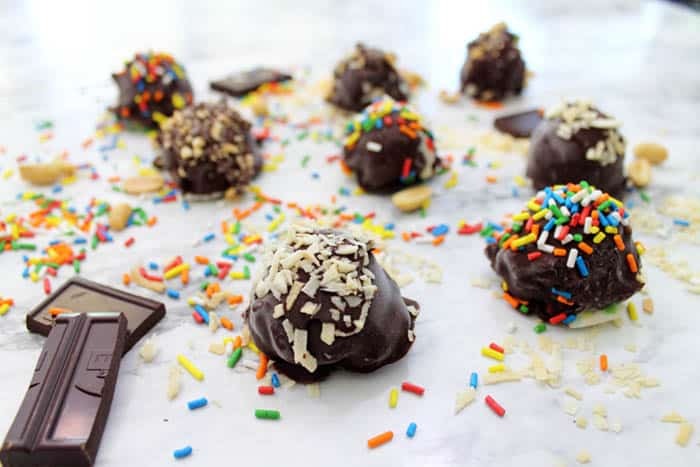 They’re just about bite size and covered with lots of dark chocolate then sprinkled with your favorite toppings. They are so simple to make too! First, just a mini scoop of your favorite ice cream flavor. I used a french vanilla bean for mine. Then freeze for about 30 minutes. Melt some dark chocolate, white chocolate or any kind of chocolate for that matter. 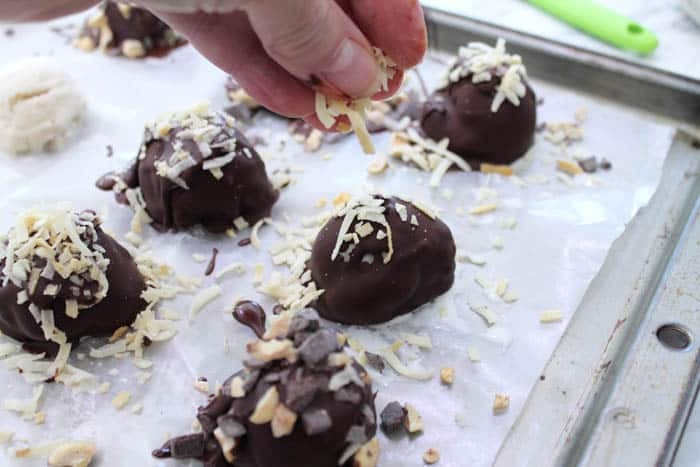 Take each ball, hold with a toothpick and dip into the chocolate. After each dip, work quickly, and sprinkle on your favorite topping. I used toasted coconut, chopped chocolate chips and peanuts and, of course, colored sprinkles. ‘Cause who doesn’t like colored sprinkles! Aren’t they just the cutest, most delicious looking, ice cream treats? Chill them one more time. Now take a big bite. Ummm, they’re so good! Perfect to serve as a treat for the kids afternoon break. 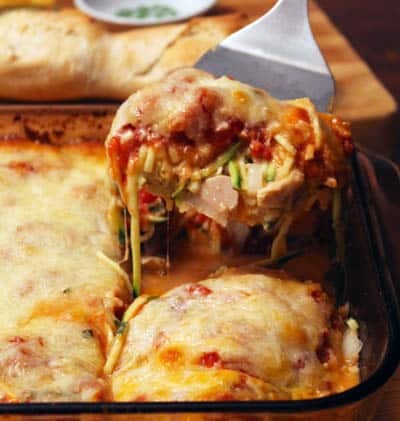 Make as many as you like at a time as they keep really well in a ziploc baggie in the freezer. What a great way to keep cool this summer! 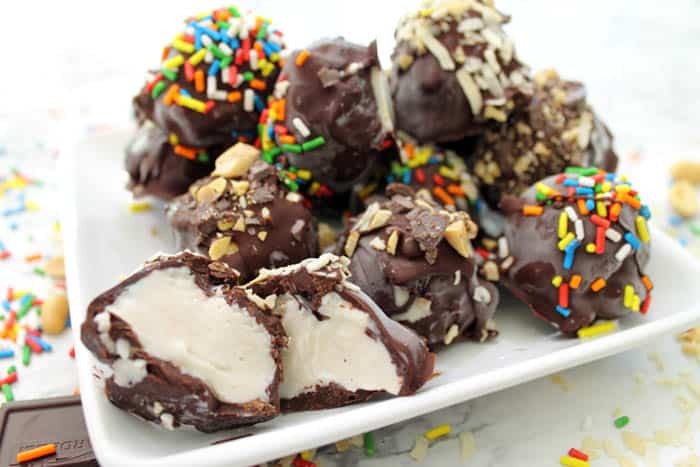 Easy ice cream truffles are the perfect cool treat for a hot summer day. A mini scoop of ice cream, a dunk in dark chocolate & your favorite toppings. Linda small cookie sheet with waxed paper. 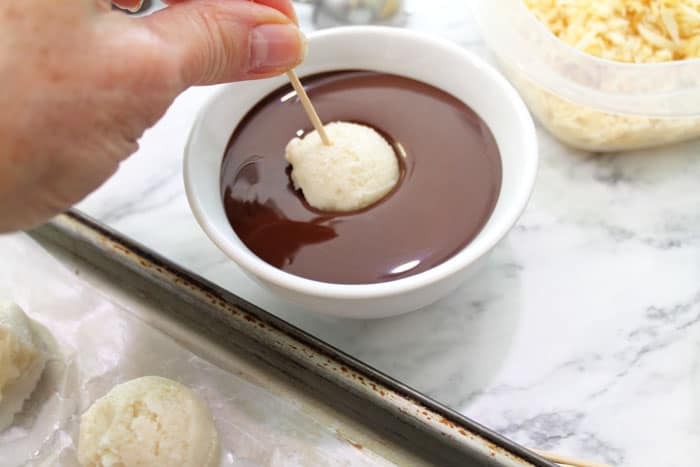 Using a small cookie scoop, scoop vanilla ice cream into balls and place on prepared cookie sheet. When ready to assemble, line up all garnishes so they are ready to go. 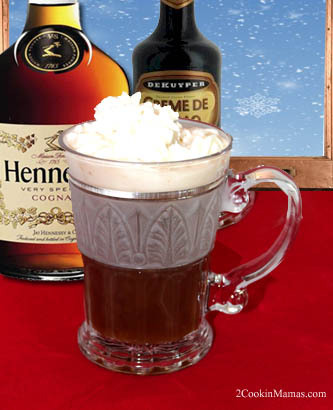 Place chocolate and oil into a microwave safe measuring cup or bowl. Melt in 30 second increments, stirring in-between, until melted. 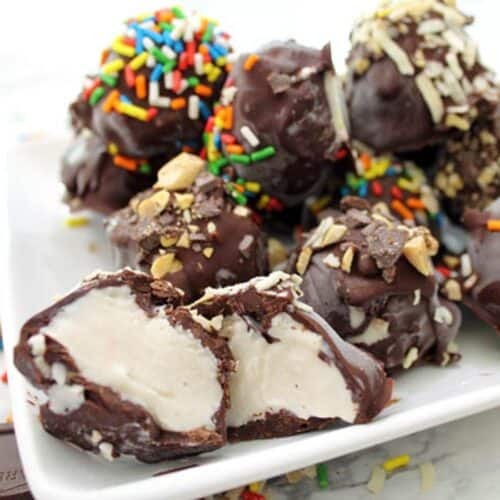 Remove ice cream balls from freezer. Working quickly, dip into melted chocolate mixture then immediately sprinkle with topping of your choice. If chocolate hardens too quickly for topping just spoon a little extra on top and sprinkle topping quickly. Return to freezer for at least 30 minutes then enjoy. 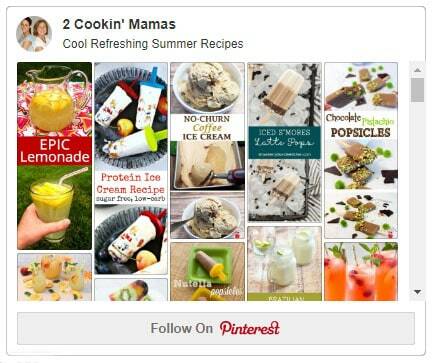 If you love summertime treats, follow our Cool Refreshing Summer Recipes board for some delicious ways to keep cool. Ladies, you are great ! Thank you so much ! It is so hot here: this is what I call a perfect timing ! 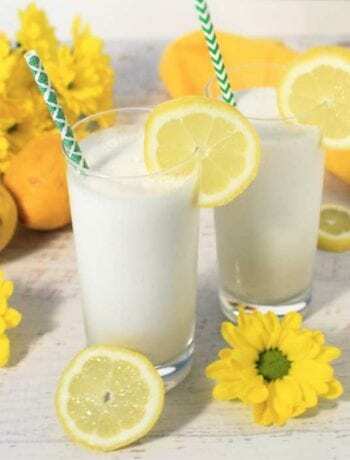 I think these are a great way to cool off! Hope you enjoy! Thanks Eshika! They really are a great little treat for cooling off. Hope to see you back on the site soon for some more summer goodies.